Public information officers play a critical supporting role in recreational boating safety. Each interaction between public information officers and reporters offers the possibility for educational outreach to the public. 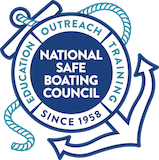 Law enforcement officers or PIOs responding to the media relative to boating accidents should be trained to always answer three questions, whether they are “asked” or not. Were life jackets available and/or worn and would it or did it make a difference regarding this accident? Were alcohol or drugs a possible contributing factor regarding the investigated accident? Were there possible violations of the rules of the road that are being investigated regarding this accident? Keep these tips in mind as you respond to questions about a boating accident. Know what can be discussed (stay focused on facts about the type of accident, causes and trends). Do not share specifics of accident currently under investigation (details, active investigations, names, details about minor age victims). Share safety and education information (facts about the type of accident, without blame). Answer questions, not statements (stick to the facts about the type of accident). Answer with knowledge and facts (again, stick to the facts of the type of accident). ACCIDENT RESPONSE CASE STUDIES	Learn about best practices and missed opportunities.